Sometimes, it may happen that Outlook deactivates an add-in (or all your add-ins) without marking it as being disabled. For example, if you run the Outlook Product Stability Tool, it may end up making all your Outlook add-ins inactive, but at the same time they are not listed in the Disabled Items list. 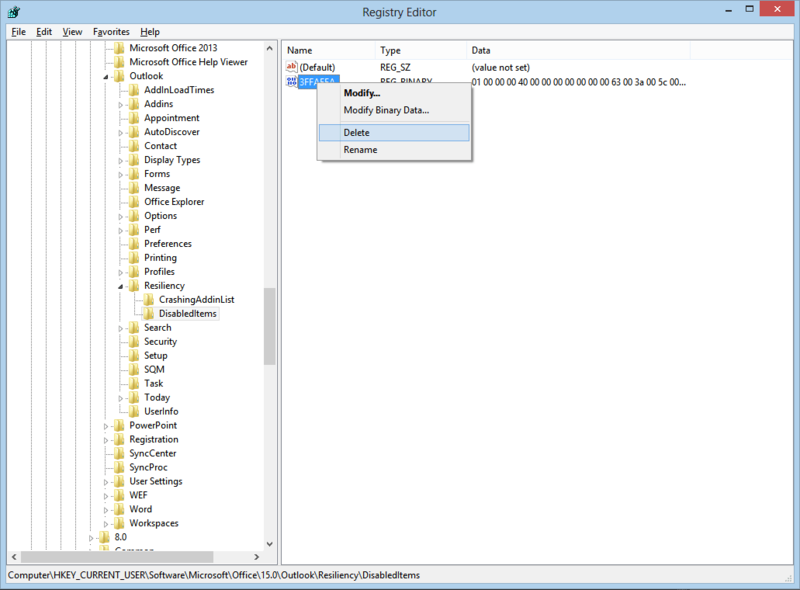 HKEY_CURRENT_USER\Software\Microsoft\Office\Outlook\Addins – remove the keys that refer to your troubled Outlook add-in. If you want to fix the OneNote Outlook add-in, remove the entry named OneNote.OutlookAddin. 3. reinstall the related Outlook add-in and restart Outlook: it should be loading fine now, without being listed as an inactive add-in. Ok I just upgrade to Office 2013 on a new computer. 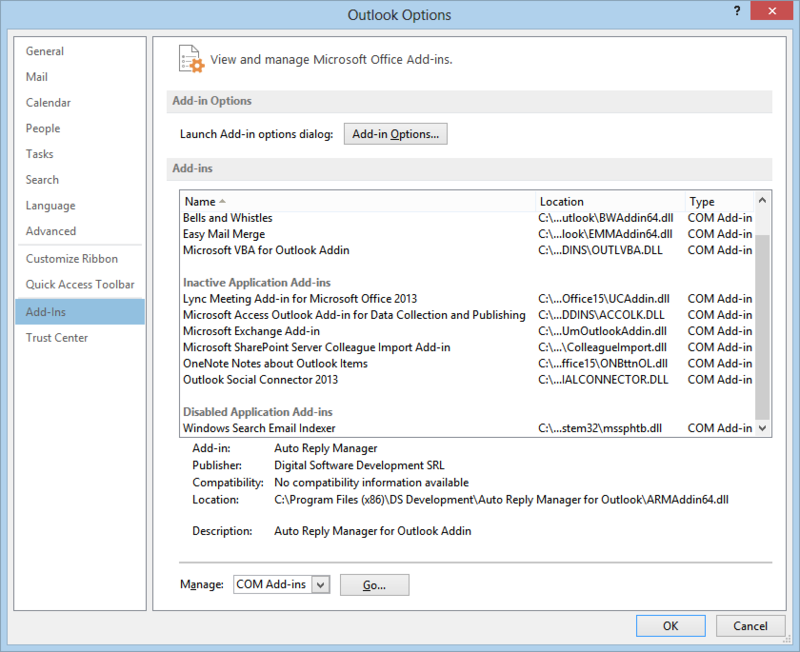 I was running outlook 2007 with BCM and have downloaded BCM for the 2013 outlook. It keeps going inactive even after several uninstalls and re-installs. I thought maybe the SQL sever at 2005 was the issue and now have SQL sever 2008. It did allow for more time before BCM goes inactive but it is still happening. Any ideas? Excellent. Fixed my problem. Thank you very much for the reg keys. Thanks. It fixed the issue. This is excellent!!!!!!!! fixed my problem. Thanks.